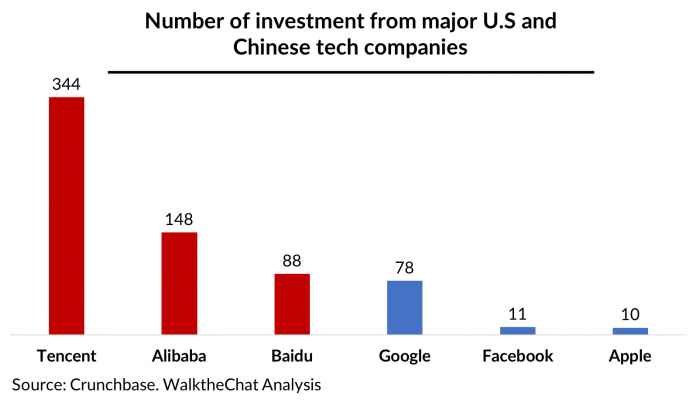 TechNode wrote about why WeChat blocks competitors, while Facebook doesn’t. This trend of joining an existing ecosystem is prevalent in many industries in China. Franchising is common not only in the food and beverages industry, but also in retail stores, hospitality outlets, convenience stores, and even logistics. Many small business owners become franchisees to leverage on the brand reputation, expertise, market knowledge, and network they gain. They receive training, market analysis, and even the equipment to offer products and service at a better level than if they started out on their own. They also get to bring in a larger range of products at a lower price. This is a big difference from Western companies that rely on acquisitions to gain new technology or human resources. The franchise benefits by expanding faster than if they were to set up their own stores in every part of each city in the country. Convenience stores appear every other street in each town in a city. It would require a large investment and effort to accomplish this if they expanded on their own. Taking up franchises allow them to sweep through the region, often utilising existing store spaces and staff. Likewise, it makes more sense for the large companies to create an ecosystem. They don’t need to risk entering a new market, yet they can tap on the existing user base of their allies. These acquisitions can be major operations aimed at overtaking superstar products (such as Facebook acquisition of WhatsApp, Instagram and Oculus Rift or Apple acquisition of Shazam last September). But more often than not, these acquisitions are technology or acqui-hiring operations aimed at developing existing products, such as the acquisition of Redkix by Facebook in July 2018 (which was merged with Workplace by Facebook) or the purchase of Senosis by Google in September 2018 (which was merged with Nest Lab). Western companies tend to consolidate their expertise and manpower under a single company. Of course, this isn’t exclusive to the west and acquisition sometimes even happen within an ecosystem. The acquisition and subsequent assimilation of Mobike by Meituan is a good example. Note : This article was originally published on BakingPixel by Jenxi Seow. Jenxi is a photography fanatic whose first love is writing. He has a penchant for fiddling with gadgets and software, and a keen interest in jumping on the latest tech news.